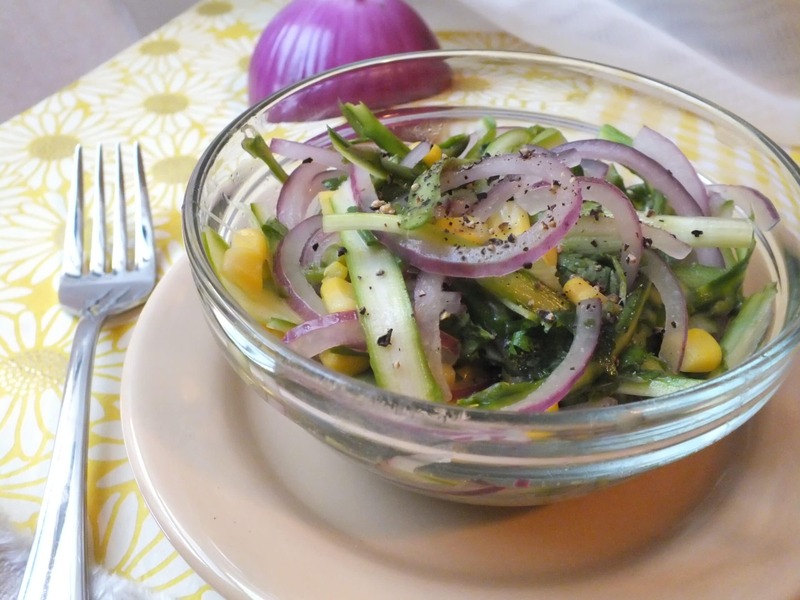 Asparagus is – FINALLY – in season again. Roast it, add it to a salad, snack on it like it’s a carrot. Any way you eat it, it’s a treat. This recipe makes asparagus look even classier than it does in its natural state and it’s a delicious way to make it into an impressive side dish. The best part? It only about 15-20 minutes to prepare. Begin by washing the asparagus thoroughly. 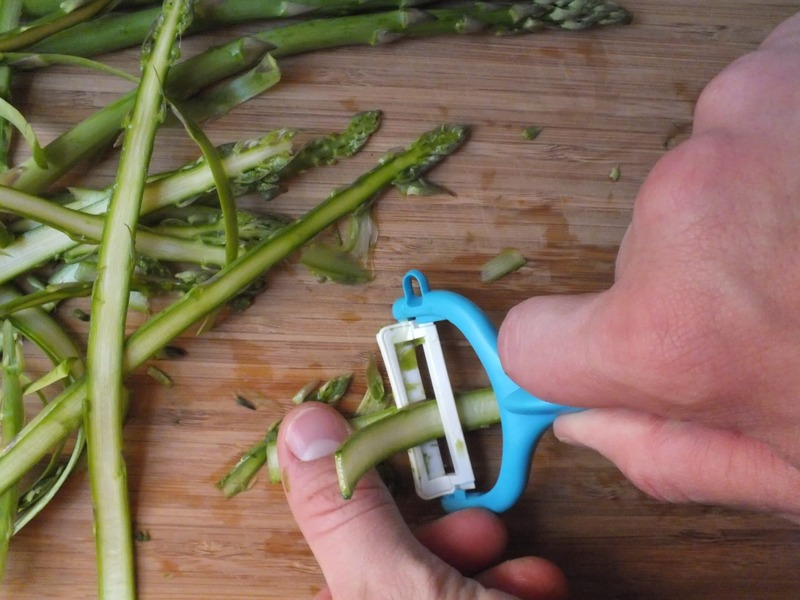 Then use a vegetable peeler to shave it into strip. 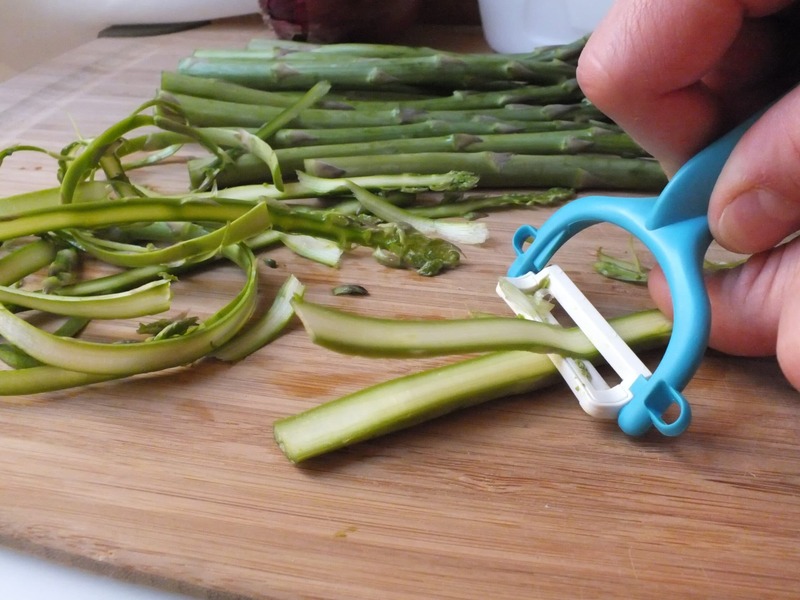 Yes, we’re aware that it looks like we’re using a personal razor to shave the asparagus. But really, it’s just this ceramic peeler which works great. After shaving the asparagus and slicing the onion, place both into a large bowl and soak in ice water in the refrigerator for 25 minutes. Just enough water to cover the ingredients – no need to drown them. 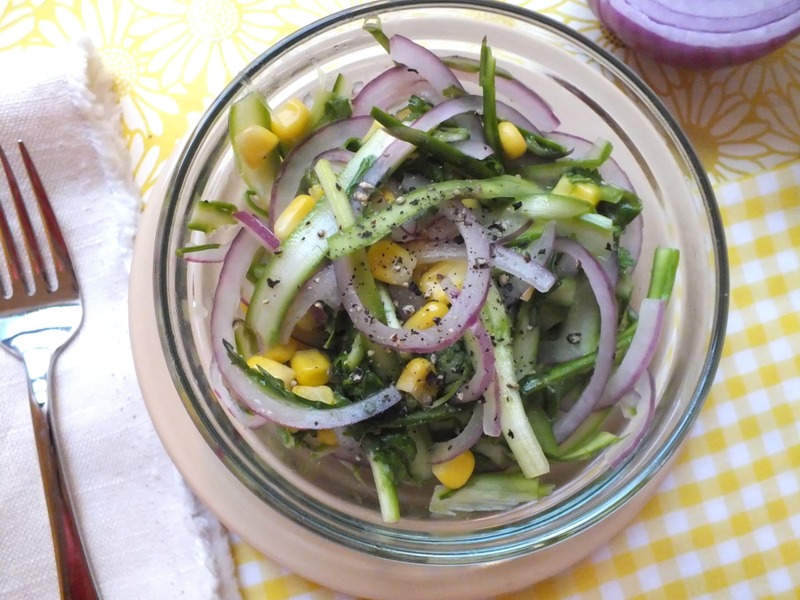 While the asparagus and onion are chilling, throw your dressing together. 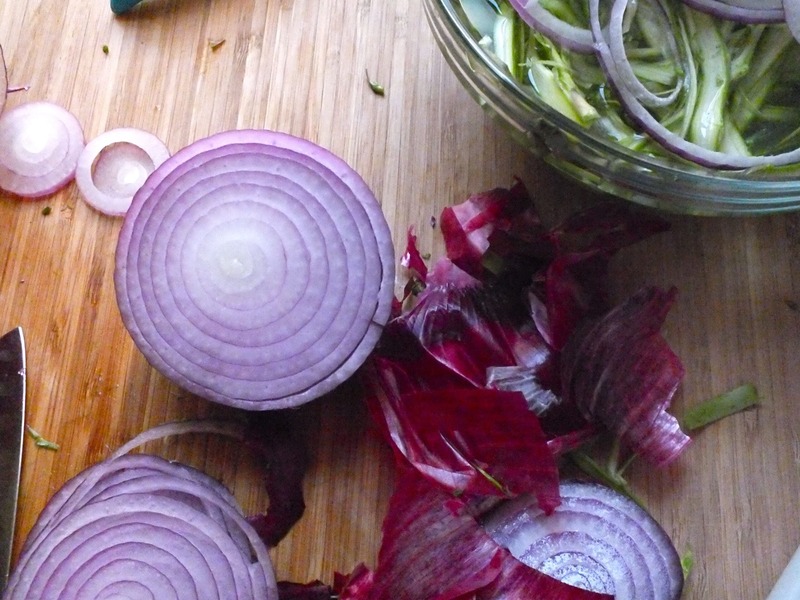 In a small bowl, add all the ingredients and use a fork or whisk to combine. When 25 minutes have passed, remove the asparagus and onions and drain them. Put the mixture into another bowl [or just dry and reuse the first bowl]. Add the corn and cilantro and mix it all together. Lastly, pour the dressing in and combine well. Serve and enjoy! Recipe adapted from The Café Sucré Farine.